Provides gentle direct heat for cold feet and legs using a small fraction the energy of most space heaters. Allows for several workers to have personal warmer without threat of blown circuits. Lack of hot surface minimizes chance for burns or fire. No risk of carbon monoxide poisoning. Uses just 200 watts, 1.8 amps. 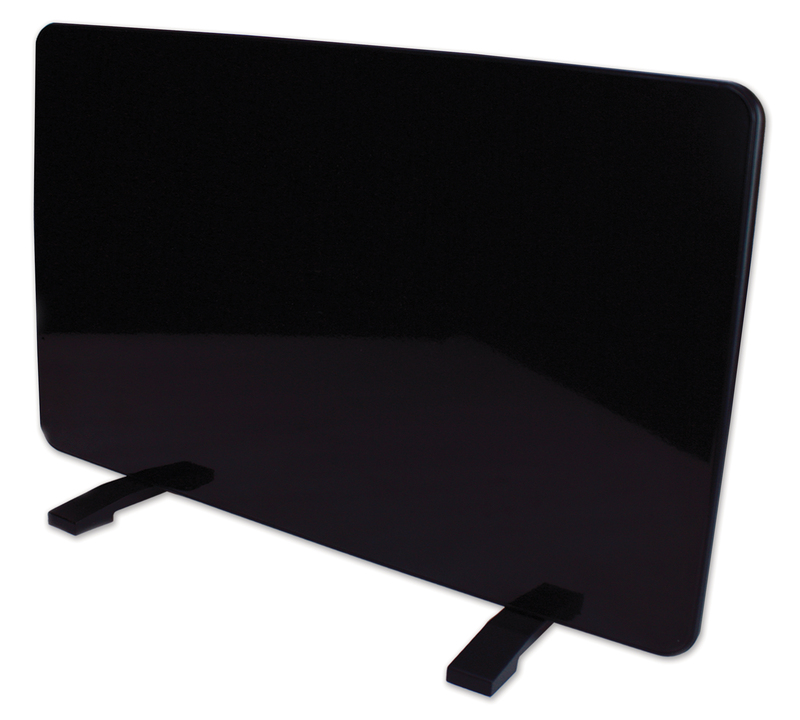 Includes handy stand that hold panel and directs heat or may be mounted on wall. On-off switch with a half power option. Metallic black finish.